Started working in glass in 1970 in Berkeley, California. David Ruth casts glass in his studio in East Oakland, making large-scale blocks and panels. He was a student of Marvin Lipofsky at CCA and has traveled, taught and exhibited widely. His current project is developing work from a National Science Foundation grant to take texture molds off glacier ice and stone in Antarctica. 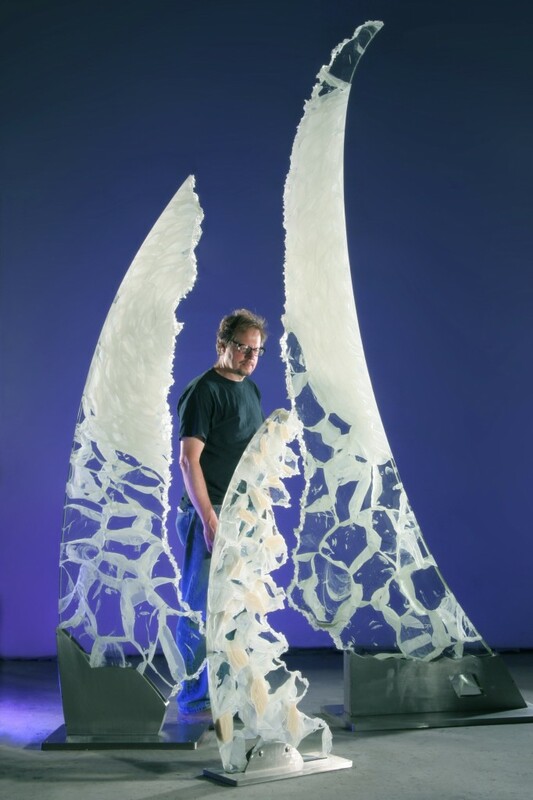 He also makes architectural and environmental sculpture and is an expert in the casting of borosilicate, or Pyrex-type glasses.